Founded by Jamie Hill in 2006 – so only one year older than the Swindon Shuffle, kind of making them that slightly annoying older brother who puts us in headlocks and messes our hair up, but who we know loves us really!… anyway, where were we, oh yes… – The Ocelot is the best regional magazine for all cultural related news and a comprehensive listings and guide section serving the live entertainment scene in the area, all wrapped up in a penchant for humour and not taking themselves too seriously; something we very much approve of! 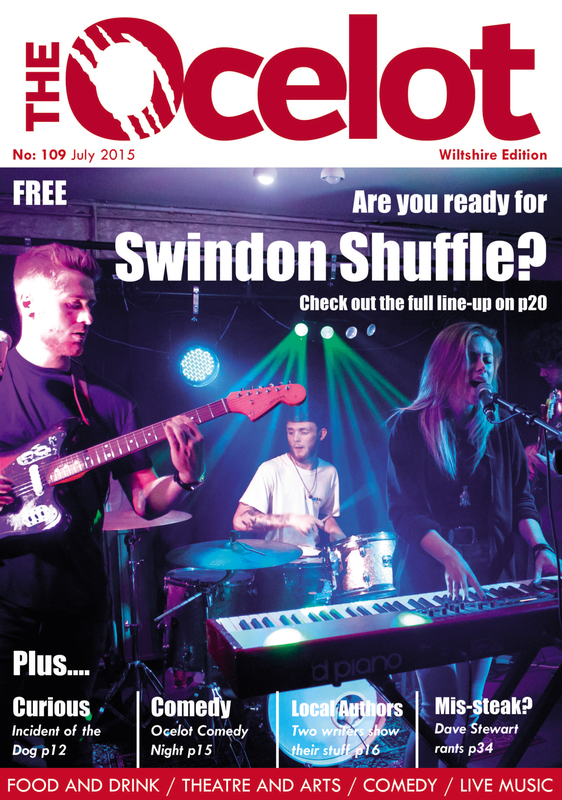 The Ocelot have been long time supporters and a partner of the Shuffle (just check out the front cover of July 2015 Ocelot on the left) and even curated a stage at the Swindon Shuffle in 2011 to help us celebrate our 5th anniversary. If you’ve never checked out The Ocelot before make sure you pick up a copy from one of the venues during the festival or check out the online version.